The homes in the historic black neighborhood are expected to sell for about half of what it cost to restore them. 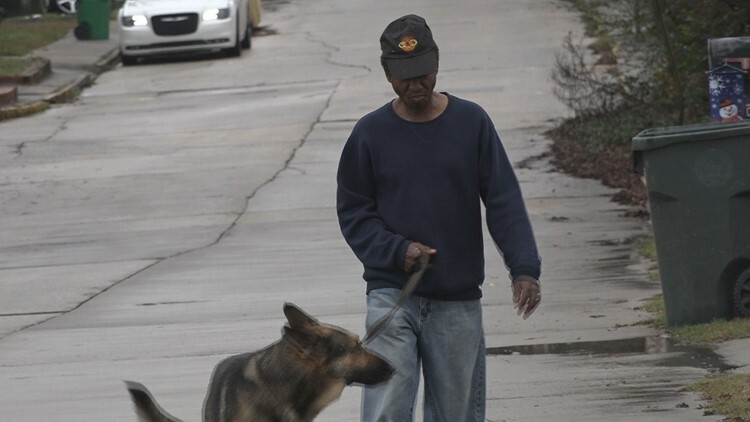 Leonard Jolley and his German Shepherd Rusty have seen a lot of change lately on their walks in their neighborhood. "I'm a 65-year-young man who has been here all my life in Pleasant Hill," he said. For Jolley, Pleasant Hill is much more than houses, it's the people. He is excited to see new houses on his daily walks. "This is one of the homes here that I like. I like that. Hopefully, people can come in, purchase this and keep it together," he said as he looked at a newly-restored two-story home that was moved from across I-75. 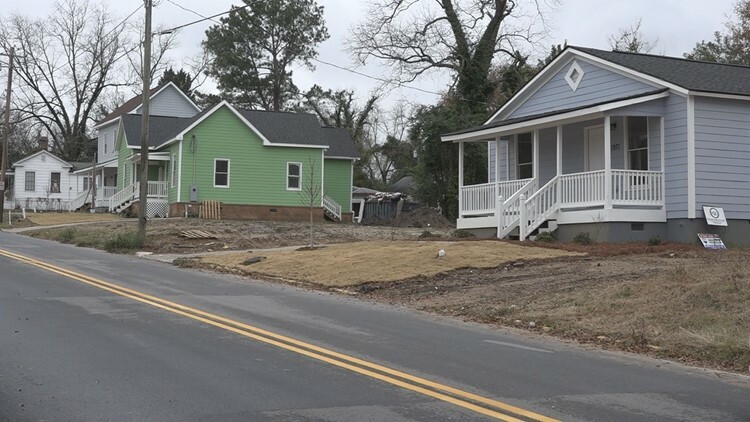 These three homes were moved across I-75 and restored. The house up the hill on the corner, along with six other historic homes, is part of a multi-million dollar project to restore the historic Pleasant Hill Neighborhood. The Community Enhancement Authority is the driving force behind the project and it was created by State Representative James Beverly. "We basically cut the house in half on the other side of the street, took the roof off, took the foundation off, and then we brought it back," said Beverly about one of the homes. All of that work along with amenities like hardwood floors, modern tile, appliances and updated floor plans takes a lot of money. He says it's about $180,000 to $220,000 per home. That cost is for homes that will sell in the $80,000 to $100,000 range. Beverly says one big reason to do that is so, "That way we don't gentrify the neighborhood. One of the things that we wanted to do is make sure that we keep an affordable neighborhood." The money to fix up the first seven homes is coming out of a pool of several million dollars that the Department of Transportation shelled out. I-75 Sliced through the heart of Pleasant Hill. 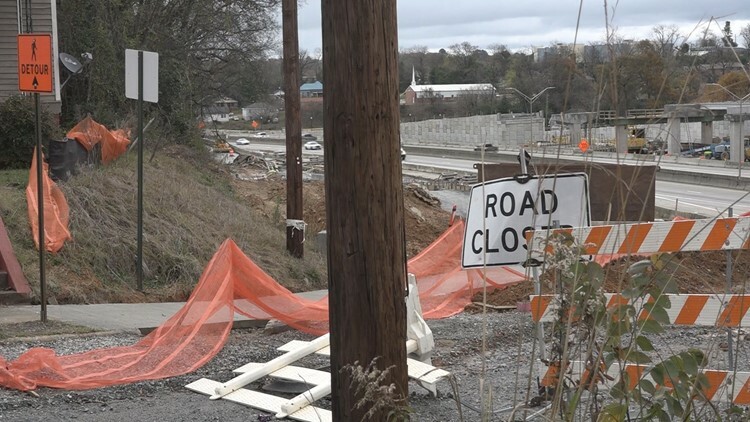 That's because a little over half a century after the I-75 project sliced the historic black neighborhood in half, an expansion project is impacting it again. Beverly says spending extra money to save these homes is an investment in Pleasant Hill's future. Beverly also says there's value in helping preserve the neighborhood's history. "Some of these styles you won't see again in Macon. These are the only houses that we have, so seven of them we preserved. As we rebuild this community, you can see 'This is a historic house. This is one and this is a part of the heritage of this neighborhood.'" The revitalization includes the people living in the neighborhood, which is classified as one of Macon's poorest areas. Beverly says the Enhancement Authority hires and trains people from the neighborhood for the construction on the homes so they can gain job skills, which they can also put to work helping their neighbors restore their homes. It turns out revitalization is contagious. 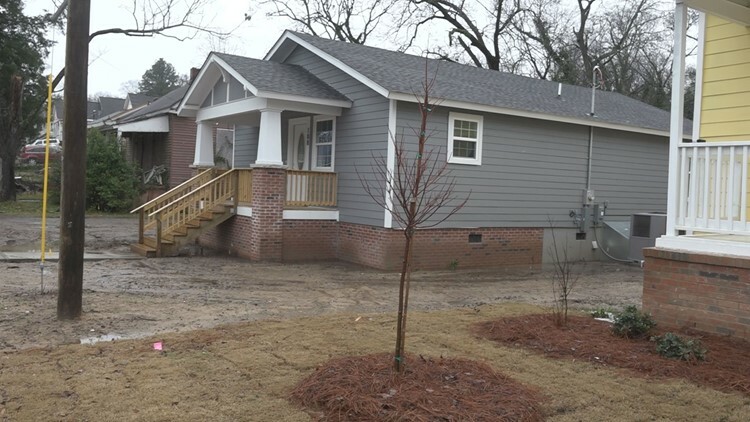 Habitat For Humanity just helped a family move into a new house on Forest Avenue. Habitat For Humanity is also starting to build in the neighborhood once again. Habitat Macon's Executive Director Ivey Hall says their organization built its first Macon home in Pleasant Hill back in 1986. The spirit and large number of people with lifetime ties to the neighborhood has drawn Habitat back in again. "Such an incredible group of residents and such a history here in Pleasant Hill that we wanted to be able to be part of preserving that history and provide an opportunity for some of the residents or some of the individuals who grew up in Pleasant Hill to be able to stay in their neighborhood," Hall said. The new construction even has some of the people who live nearby making some changes.Several homes show signs of new paint and siding. As Hall puts it, "We've definitely seen the trickle effect. That ripple that spreads throughout the neighborhood". Leonard Jolley hopes that energy recaptures the old spirit he remembers when he was growing up in the neighborhood. "I hope that we can come together and do some things to help one another," he said. 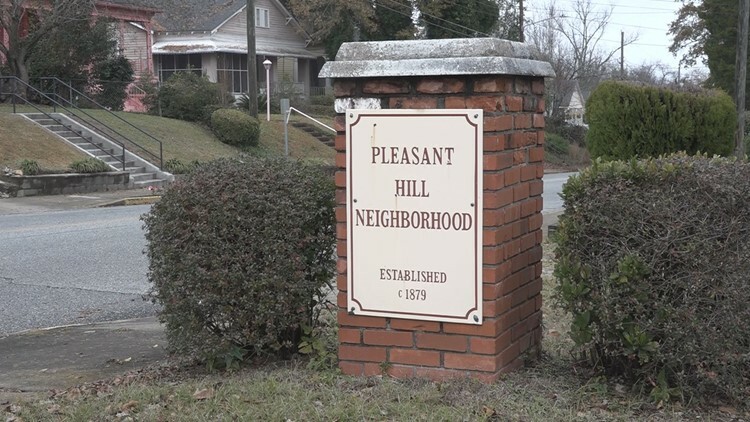 Pleasant Hill is one of Macon's poorer neighborhoods. Helping long-time neighbors like Jolley is actually part of the long-term plan in Pleasant Hill. As the homes sell, Representative Beverly says the money will go into a revolving loan fund so people who already own homes in the neighborhood can get low interest loans to fix them up too.